This AC adapter is an official Asus 230W power resource that can be used with several Asus laptops. Excellent replacement for your defective or missing original AC adapter. 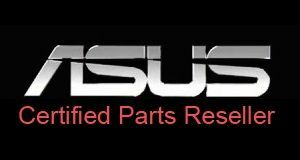 Choose a genuine Asus power adapter and avoid a generic charger. Caution : do not rely on the reference that is on your current charger and make sure you order a charger compatible with your laptop. If you are not sure of your choice or if you can not find your model of PC, do not hesitate to contact us so that we can assist you in your purchase.